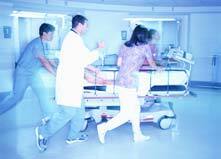 Sepsis is a complication caused by the body's overwhelming and life-threatening response to infection. It can lead to tissue damage, organ failure, and death. Sepsis is a medical emergency. 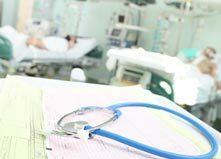 People receiving medical care can get serious infections called healthcare-associated infections (HAIs), which may lead to sepsis or death. Untreatable and hard-to-treat infections from CRE germs are on the rise among patients in medical facilities. CRE germs have become resistant to all or nearly all the antibiotics we have today. Types of CRE include KPC and NDM. 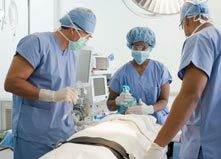 People getting medical care can catch serious infections called health care-associated infections (HAIs). While most types of HAIs are declining, one - caused by the germ C. difficile* - remains at historically high levels. C. difficile causes diarrhea linked to 14,000 American deaths each year. A central line is a tube that a doctor usually places in a large vein of a patient's neck or chest to give important medical treatment. 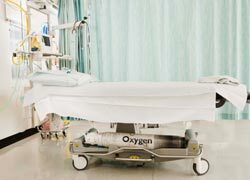 When not put in correctly or kept clean, central lines can become a freeway for germs to enter the body and cause serious bloodstream infections. These infections can be deadly. 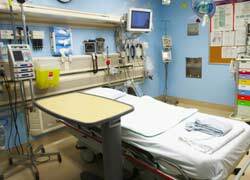 Of patients who get a bloodstream infection from having a central line, up to 1 in 4 die.